This has been a hard week, one of the darkest I can remember in some time. I have felt every emotion in the book, soaring love and pride and crashing fear and grief. Calling them terrorist attacks seems to be the easy way out, a simple news phrase that is thrown around in the media so carelessly. When I think of a terrorist attack, my mind pictures a foreign invader, attacking some other foreign country, but definitely not my own. What do you call it when a Canadian turns his anger on his own country? This doesn’t fit my description at all. What is a terrorist? Someone who terrorizes people, uses acts of violence to create fear in an innocent group of people? This week I was afraid, and very, very sad. But there were some positive things to come out of this week. 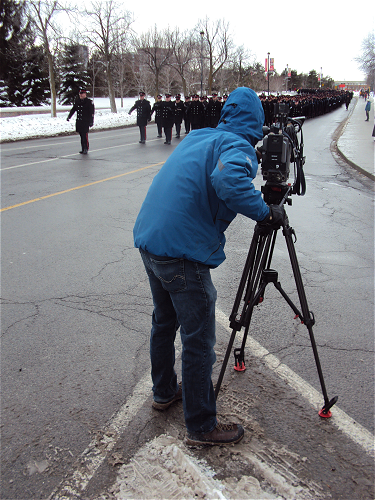 Many stories emerged from those who were at the War Memorial, or on Parliament Hill on Wednesday morning. 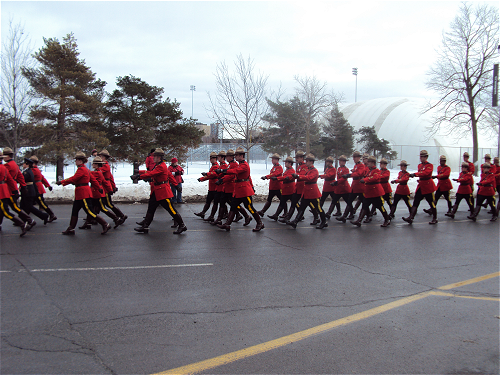 We were further reminded of the stoic heroism and selfless courage of so many Canadians. 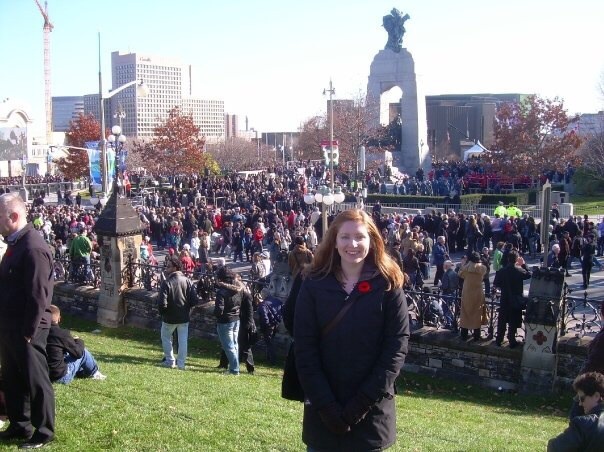 The images yesterday, at the War Memorial, and along the Highway of Heroes, filled me with so much patriotism and pride. 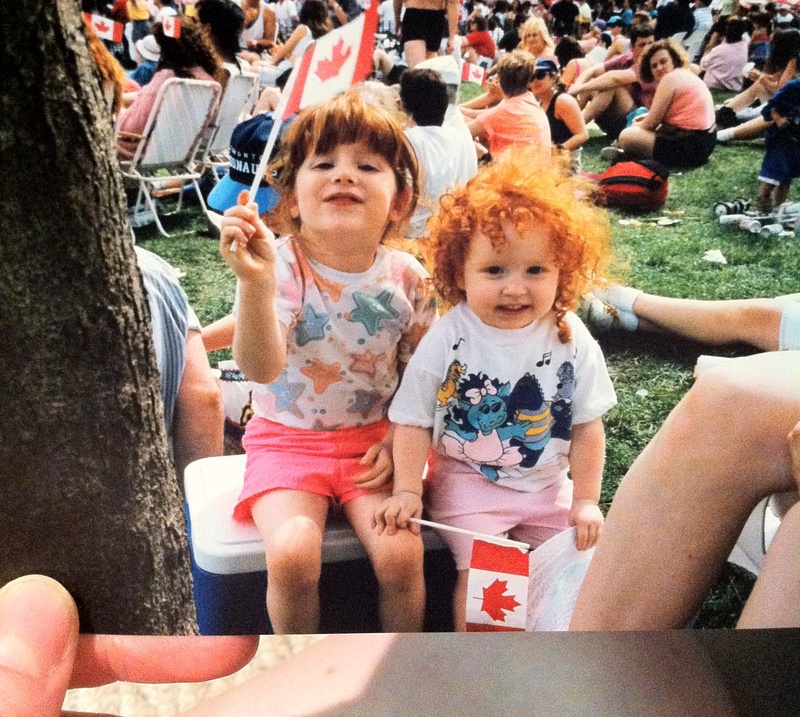 I feel content in the knowledge that I am not the only one feeling grief, but also reaffirming my love for Canada. My family and friends are safe, and I am so grateful for that. Our country is mourning the loss of two of our soldiers, and when this sorrow has passed, our focus will turn to taking the needed steps to ensure this never happens again. I have been so touched by the expressions of condolence and solidarity from people around the world. In a perfect world, we would never have to learn of them this way, but it is nice to know that we are not an island, and that our efforts to build and nurture foreign relations have not been in vain. My words will never be enough. 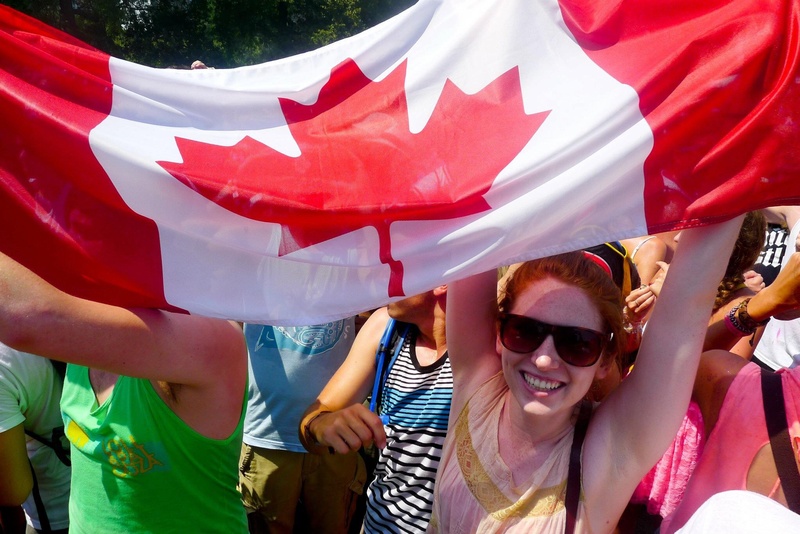 But, I have been comforted this week by listening to the radio and reading the reactions of Canadians all over the country. To those who are also hurting I say, I understand what you are feeling, and know that I share those feelings too. I will leave you with the words of Jack Layton. My friends, love is better than anger. Hope is better than fear. Optimism is better than despair. So let us be loving, hopeful and optimistic. Getting back to basics in the Nation’s Capital. I spent the weekend in Ottawa. It was great to visit my sister and a lot of friends who still live there. As the Duggars would say, I really enjoyed their fellowship. The strangest thing about the weekend was how old-fashioned and low-tech it was! Lots of board games, some sweet tunes on the record player, cooking, baking and sharing food with each other, cat’s cradle (it’s coming back) and a whole lot of laughs and stories shared between us. 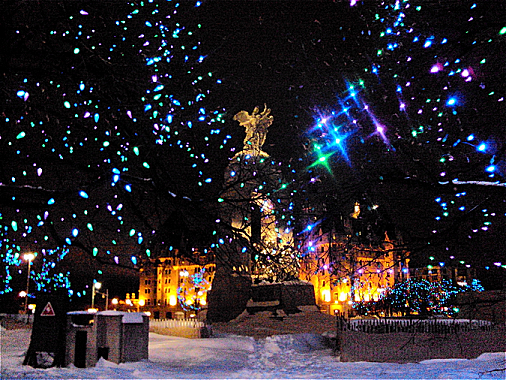 My favourite thing about Ottawa in the winter has got to be the Rideau Canal. We had perfect ice conditions on Sunday. It really was a great weekend, and I’m still on cloud nine. I feel recharged and ready to get back to homework. It was just what I needed to help me get through school for another month until reading week. 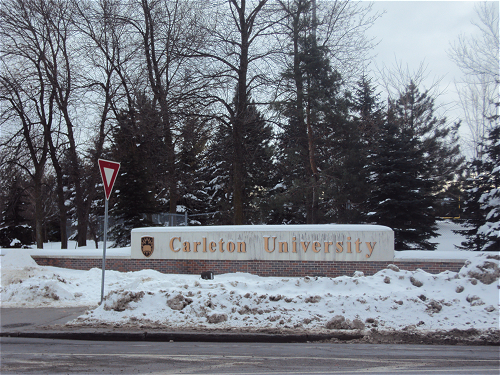 I’m very proud to say that my little sister recently heard that she has been accepted to Carleton University. 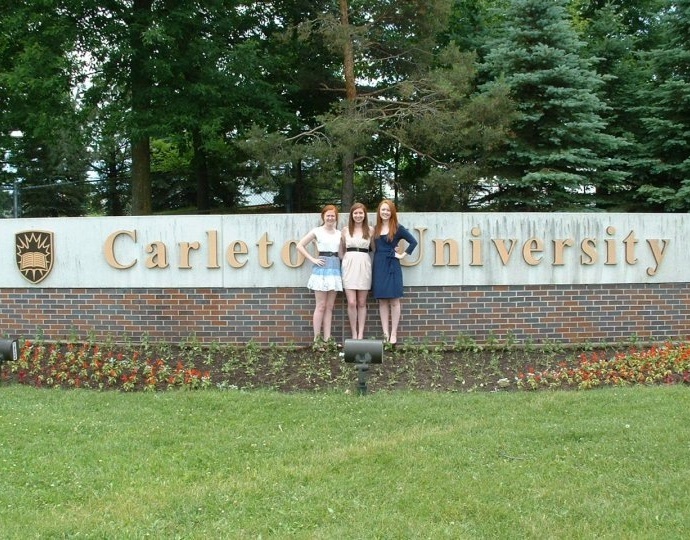 With her acceptance, that makes a grand total of three de Barra sisters at Carleton! Hat trick! I was Class of 2010, Caroline is Class of 2013 and Kathleen is Class of 2016. I am so proud of my little sisters and the little legacy we have created there. 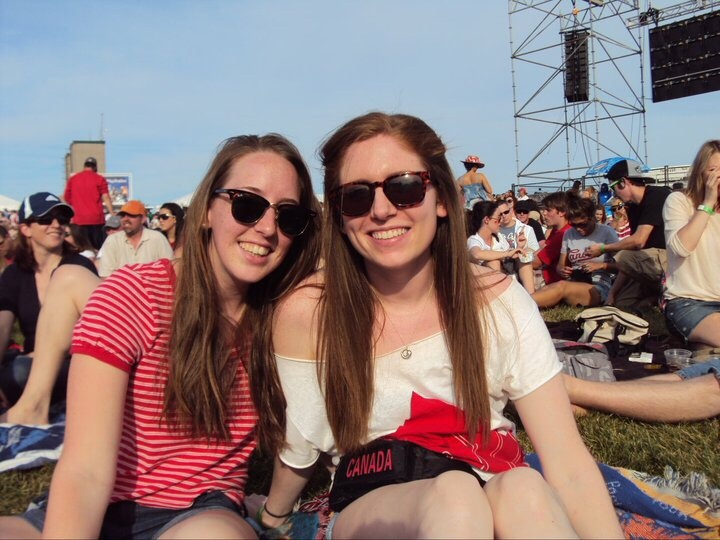 I started university in the fall of 2006, and by the time Kathleen graduates we will have had at least one de Barra at Carleton University for an entire decade! Can you believe that? Is there some type of finder’s fee I can collect? Really, they should put us in some kind of marketing campaign or something. Go Ravens Go Ravens Go! UNICEF Carleton’s annual coffeehouse/open mic night. Last night UNICEF Carleton presented their second annual open mic night, featuring a lot of local talent. This is a video of my roommate Jamye Troy singing a song she wrote about a little girl in Africa. Well I was wrong. It never lasts. Walking along Bank Street the other day I noticed something that really made me feel pretty sad. The Swap Box at Bank and Sunnyside is gone. I don’t know how long it’s been down. It looked like this back in the glory days. 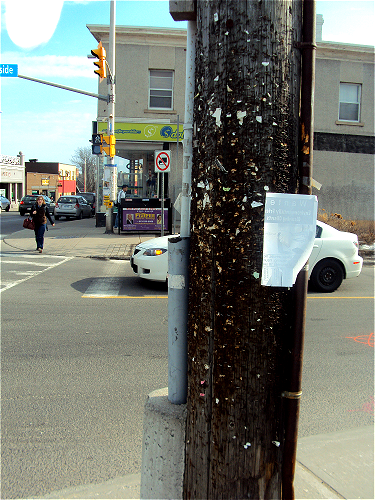 In the fall I wrote a feature piece about the Swap Boxes and street art in Ottawa. I was even lucky enough to interview the artist Elmaks. 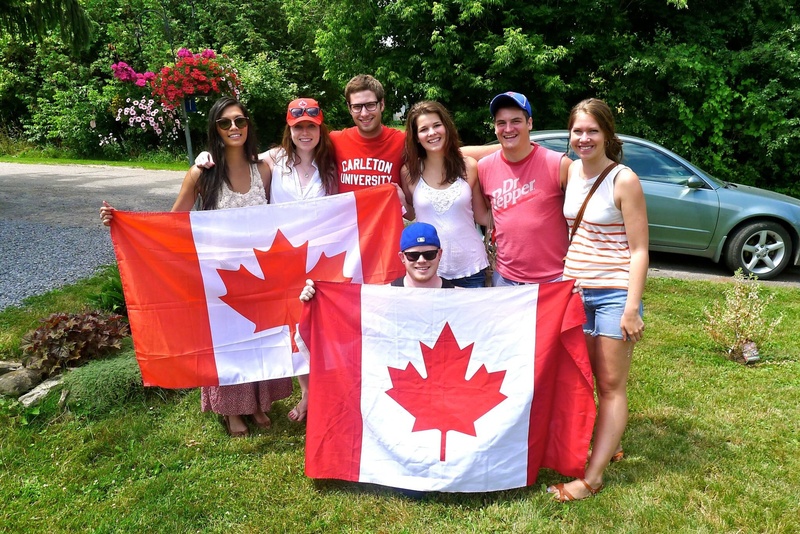 Bank and Sunnyside is an important intersection for Carleton students. 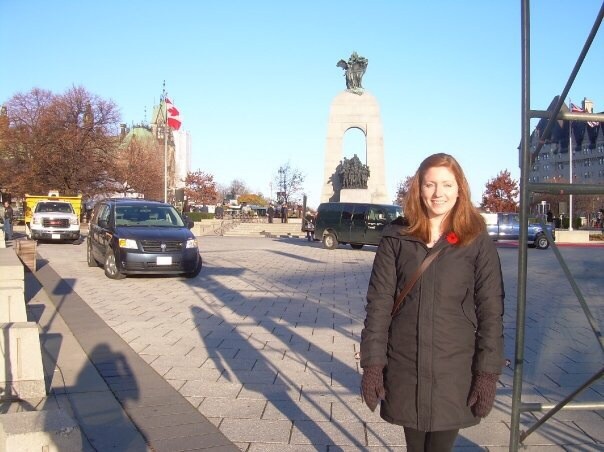 It stands out in my mind as a huge staple of my time in Ottawa. It took a while for me to warm up to Ottawa back in first year. 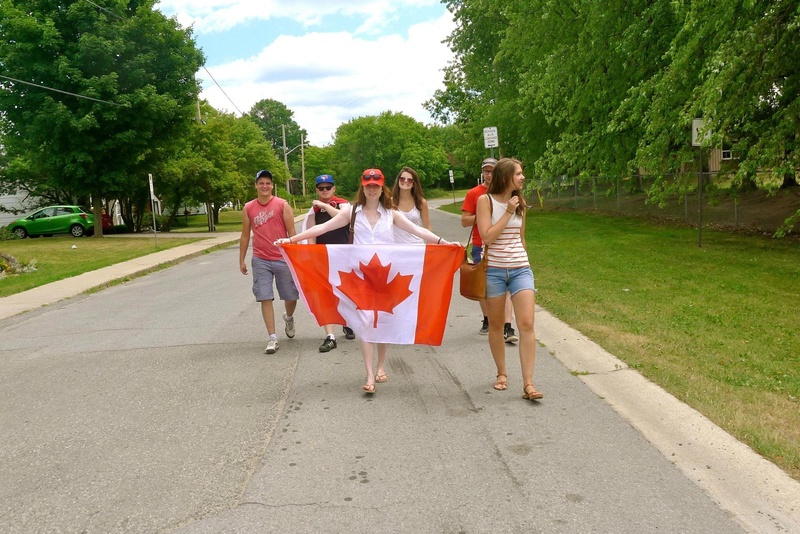 Walking up Sunnyside from res, past Haven Books, to the Second Cup and the Chip Wagon, walking past the Mayfair and over the bridge into the Glebe… I’m not the only one who did these things. And the Swap Box was one of the things that really made my heart melt. It put Ottawa in my good books. I never really contributed anything worthwhile. I only ever have bus transfers and bobby pins in my pockets, but I put them in anyway. And now there is nothing left. 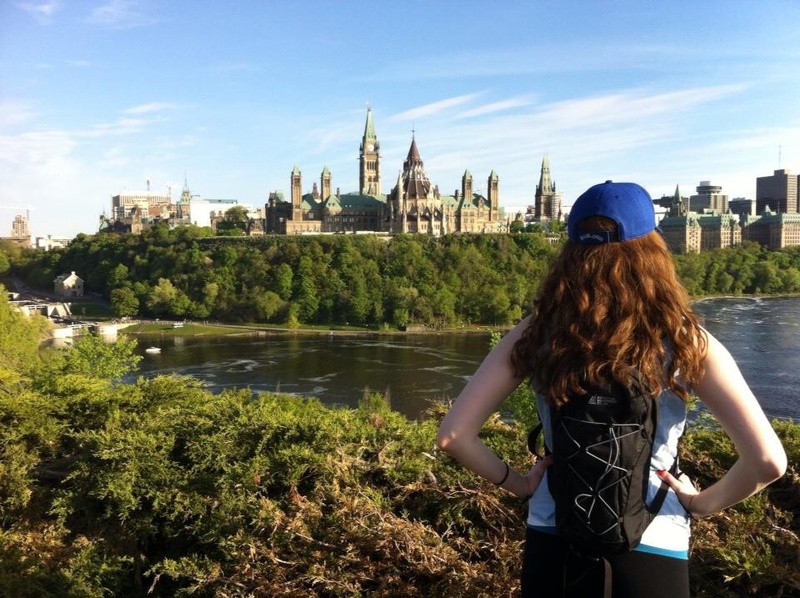 I’m just sad that other Carleton students wont get a chance to experience this beautiful little piece of Ottawa. 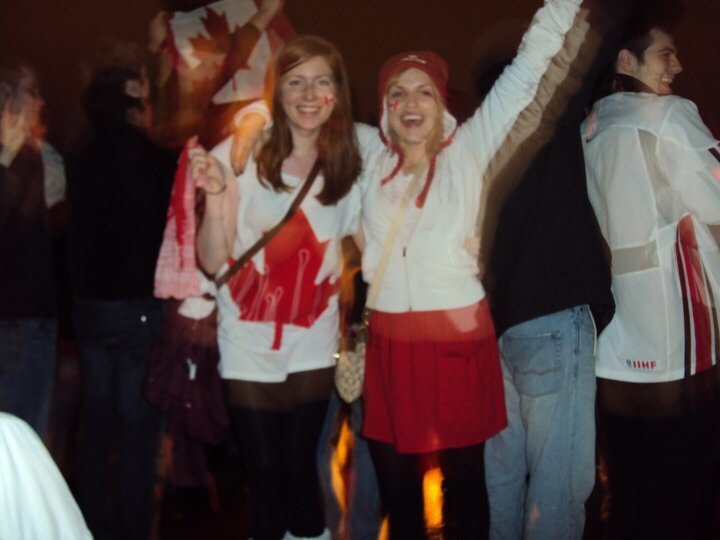 This is about the most “Canadian” that Ottawa can get. 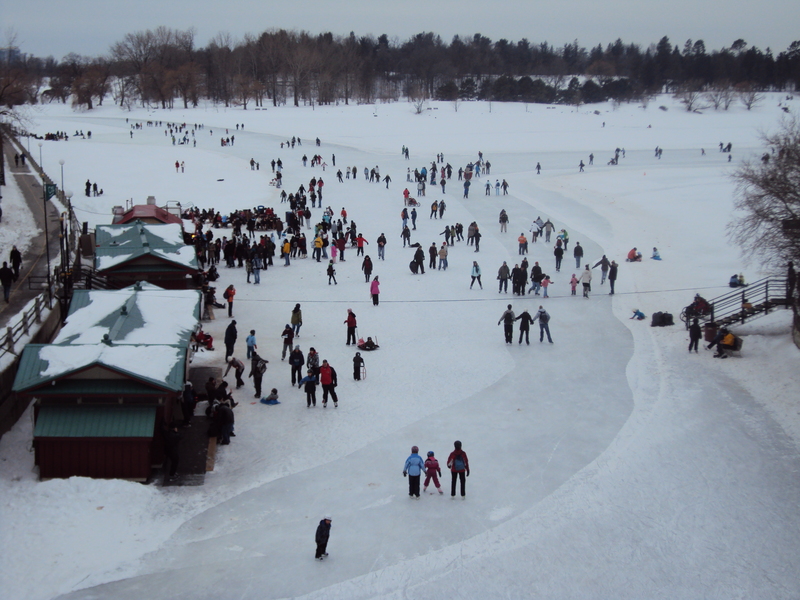 Hopefully the weather will stop being so moody, and the Rideau Canal will open up again soon. 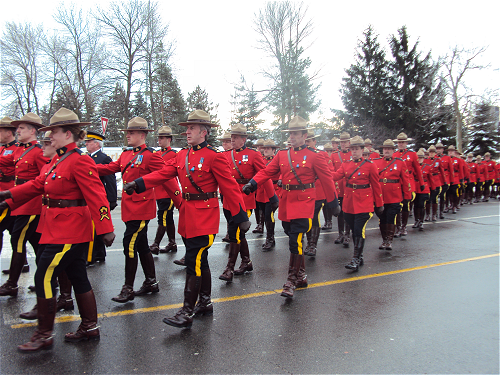 Photos from the funeral prosession in honour of Ottawa police Constable Eric Czapnik. Walking home after my class yesterday, I noticed a huge crowd of people gathered on the sidewalk. 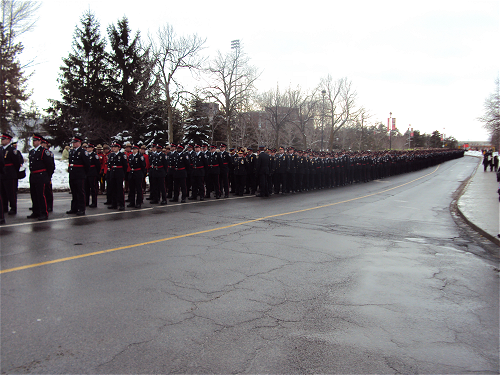 I was just in time to see the funeral procession on the way to Lansdowne. 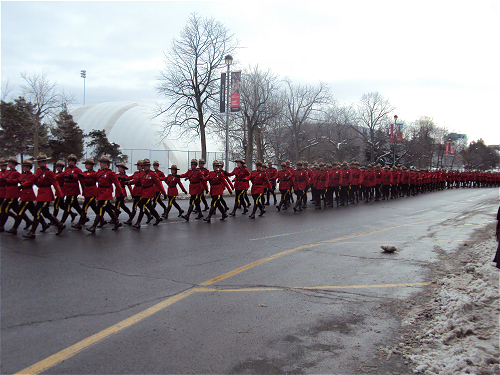 There were endless rows of Mounties, police officers and firefighters all in a row along Campus Avenue waiting to begin. 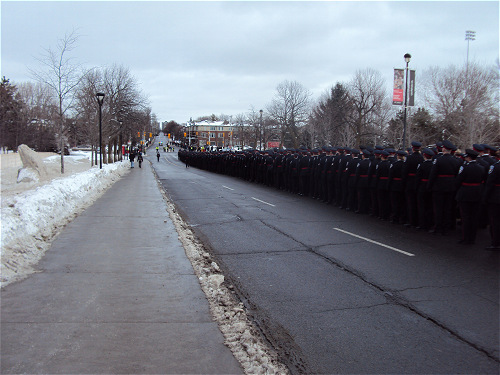 Just the sight of all of these men and women was enough to make me tear up. 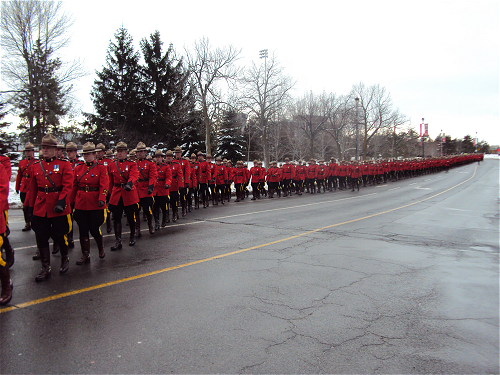 I saw police officers from Perth, Toronto, Kingston, Barrie, Cornwall and way more than I can remember. It was so nice to see all of them out in support. I wish I was at Bank and Sunnyside because I hear that the kids from Hopewell Avenue Public School came out to line the sidewalks. 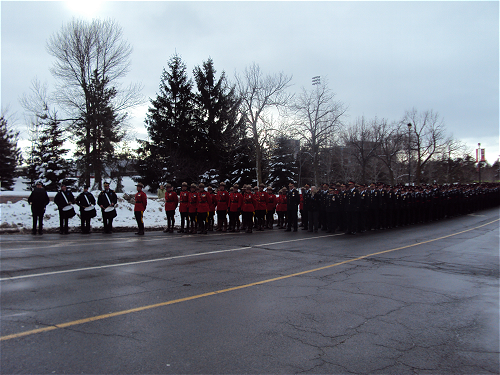 It was just an all around sad and somber day remembering and celebrating a fallen hero. I feel like my journalist hat is never off. You’re always on call, always on the clock, always on deadline. You can’t really escape it, no matter how hard you try. Searching, in vain, for Jack London in Ottawa. 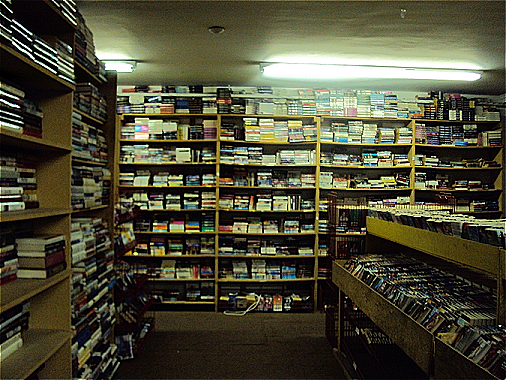 I spent a good three hours walking around tonight looking for a copy of The Iron Heel by Jack London. It is the first of five novels on the reading list for my english class. Every other student must have been proactive about getting books for this class, because all these stores (all nine of them!) were out of stock. I took out the map pictures. Nine photos of Google map screenshots is excessive. I did end up getting The Iron Heel from Octopus Books. My review: don’t even bother reading this one. It is socialist propaganda parading around as a novel. It’s less than 300 pages and it took forever to get through. I didn’t enjoy it at all! Our next book, Bend Sinister by Vladimir Nabokov is even more tough to read. I thought I was good at this kind of thing: reading, thinking, reflecting. Guess not.